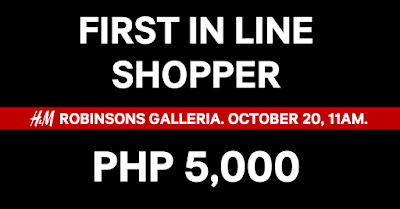 H&M is coming to Robinsons Galleria on October 20 2017! Enjoy opening promos and discounts! You know the drill! 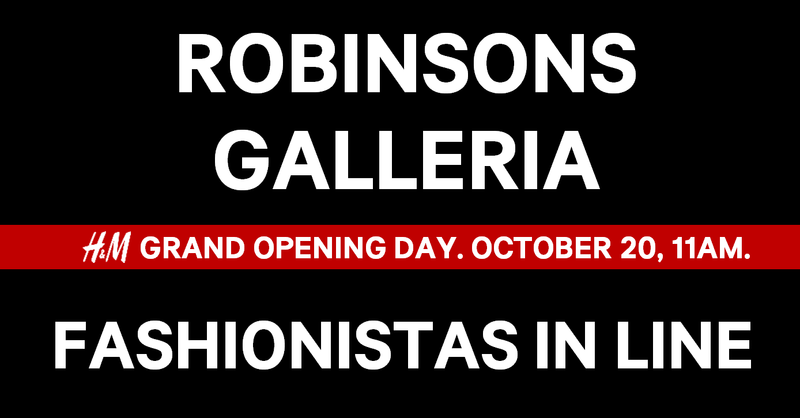 Early birds and fashionistas will also be rewarded! Doors opne at 11am! 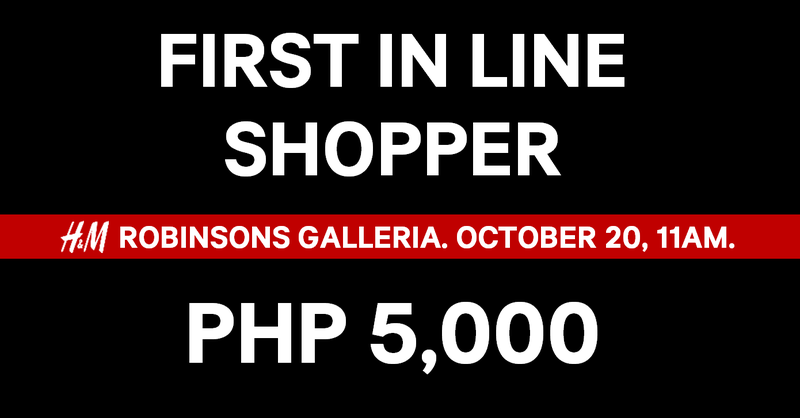 The first shopper in line will get a GC worth P5,000. The first 500 customers in line will be rewarded! 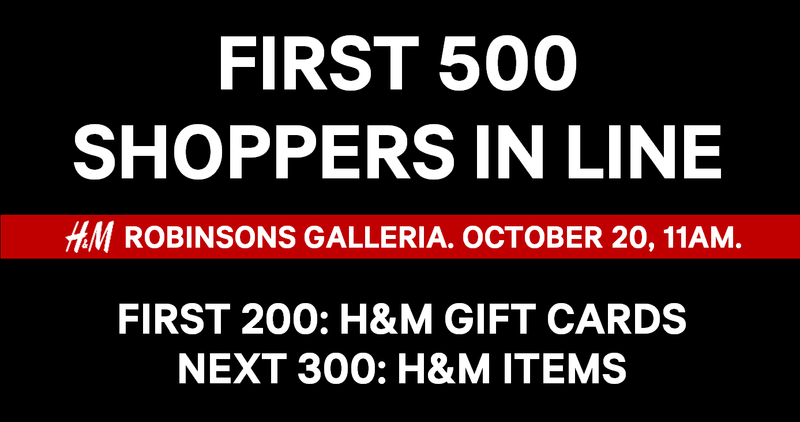 First 200 get H&M gift cards, and the next 300 will get H&M items! 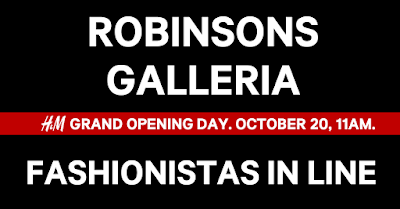 Top 3 chosen fashionistas will each get GCs worth P2,000! 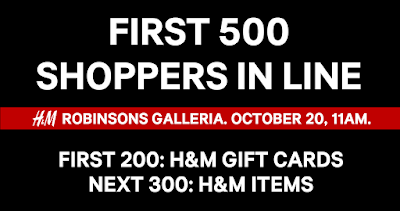 Plus get a chance to win H&M GCs only October 20!